The phrase is our portmanteau, composed of the two most common objections marketers raise when we advocate content-driven marketing: They say they lack either the time or the skills to create content—or both. Books like Inbound Marketing and Everybody Writes help with skills-building; still, there are only 18 hours in a workday. (Kidding. Sorta.) Until some collegiate hipster subsisting on bike-share transportation and Airbnb lodging raises millions on the promise of "disrupting time," marketers will continue to struggle to find the hours needed to create the content they know is so vital to their company's growth. The question they face is refreshingly simple: How can we maximize our content output in the minimum amount of time? The answer, too, it turns out, isn't particularly complex: Spend time only on content that works. The trick, of course, is figuring out ahead of time what content will perform. 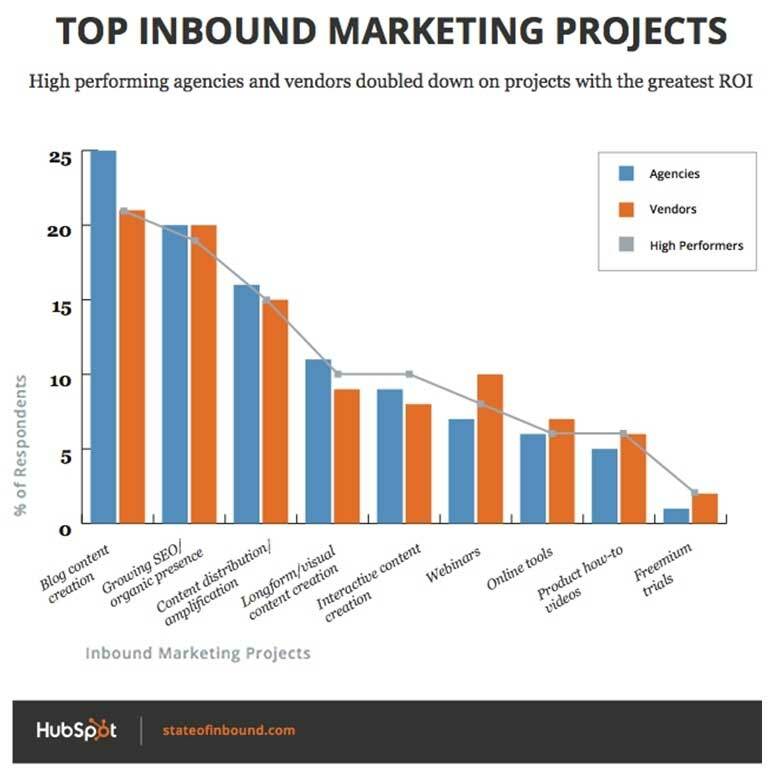 HubSpot recently surveyed nearly 3,600 marketing and sales professionals for our annual State of Inbound report (available here; email required), and asked several questions related to content creation and impact. Then we pivoted the data to see where high performers—that is, marketers who generated greater year-over-year return on their inbound investment—spent their time and resources. A pattern emerged. Whether the respondent sells products or provides services, the pattern is the same: High-performers prioritize projects designed to help get the company and its content discovered. They blog, think of SEO as an input (not an output), and invest in distribution. On average, the most effective marketers are five times more likely to prioritize top-of-funnel activities over pre-sales projects such as creating product videos and free trials. Joe Chernov is VP of content for HubSpot, where he leads the blog and offers team and writes for the HubSpot blog. He was named “Content Marketer of the Year” in 2012 by the Content Marketing Institute.